City Councilman Bill Peduto has taken the lead in the Democratic primary for Pittsburgh Mayor, according to the latest poll from Keystone Analytics. He takes 38% to former Auditor General Jack Wagner’s 36%. It’s the first poll in weeks to show Peduto ahead. Although the results are within the margin of error, significantly, it’s the first poll to put him above what had looked like a 30% ceiling. State Rep. Jake Wheatley took 5%; activist AJ Richardson took less than 1%. The Harrisburg-based pollster surveyed 401 likely Democratic primary voters from April 22-23. The margin of error is plus or minus 4.89%. It’s a 10 point swing for Peduto since the same firm conducted a poll just three weeks ago. That showed Wagner ahead 38% to 30%. Since then, both candidates have gone on television. The latest poll shows both top candidates with nearly identical name ID: 65% favorable, 17% unfavorable for Peduto and 64% favorable and 17% unfavorable for Wagner. 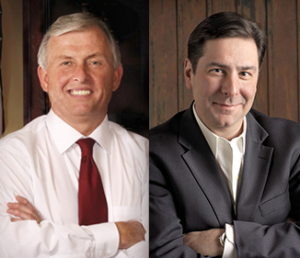 Peduto leads by 7% among women; Wagner leads men by 9%. That’s significant because the average Pittsburgh primary voter is at or nearing retirement. 40% of respondents were 65 and older. 37% were 50-64 and just 23% were ages 18 to 49. A full demographic breakdown of poll respondents is here. Voters are optimistic about the city. 52% said Pittsburgh is heading in the right direction, while 28% said it’s heading in the wrong direction. H/t Keystone Politics on reporting today’s poll. Peduto is too emotional and tempermental to be the mayor of a major metropolis. Past experience has shown that he cannot handle being publically critizied. The other two straggling candidates should go home and stop wasting money and time. Jake Wheatley is prone toward violence, it has been proven time after time. No citations are needed simply ‘Google’ him. He should stop embarrassing the constituents of the 19th Legisative Districe and the constituents of the 6th Council District. Jack Wagner is a throwback candidate. He is good at public speaking, shaking hands and working the crowds. He can do that quite easily in Pittsburgh. What he can’t do is raise $ at significant levels to run for Governor. He ran a horrible race in 2010 and would get smoked again in 2014. He picked the race that he has the best chance to succeed in. To assume that he could run for Governor and succeed is ridiculous. A man is only as Great as the People he surrounds himself with. Caligury never passed out favors, and had a clean record which got him much respect. The trick is to keep it that way. wagner lost 4points peduto gains 10 points i think pittsburghers are catching onto jack wagner. he has no plan just his name id and apparently not working well.and GREEN you shouldnt call anybody a amateur you dont even know what office wagner worked for the auditor generals office maybe you should take some courses lol. Jackie you amateur, here is a clue. Timing is everything in politics. Jack ran for gov when there was a powerhouse western (Onorato) running. This time, there are several powerhouse candidates from the East and two from Central, leaving Captain Jack with the west to himself, and with his residual name i.d. from two terms as state treasurer, he would bea shoe-in. ACCC is offering some Intro to Poli-Sci courses. I highly recommend that you sign up. Jack did run for Gov in 2010 and that didn’t turn out so well. Kinda hard to talk about history when you don’t know it, friend. Wagner wins by 4 or 5. Jack Wagner’s decision to run for Mayor of Shittsburgh instead of Governor will go down as one of the biggest political blunders in history.